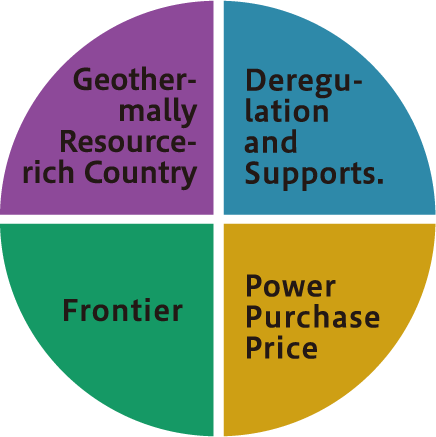 Geothermal Development & Investment Inc.
projects and operates geothermal power stations. -Importer and sales agent for binary turbines. Geothermal is the best form of energy for nations with high volcanic activity such as Japan and other Pacific islands in the Ring of Fire. We maximize the usage of geothermal-based energy with our technical expertise and experience in project development and investment. 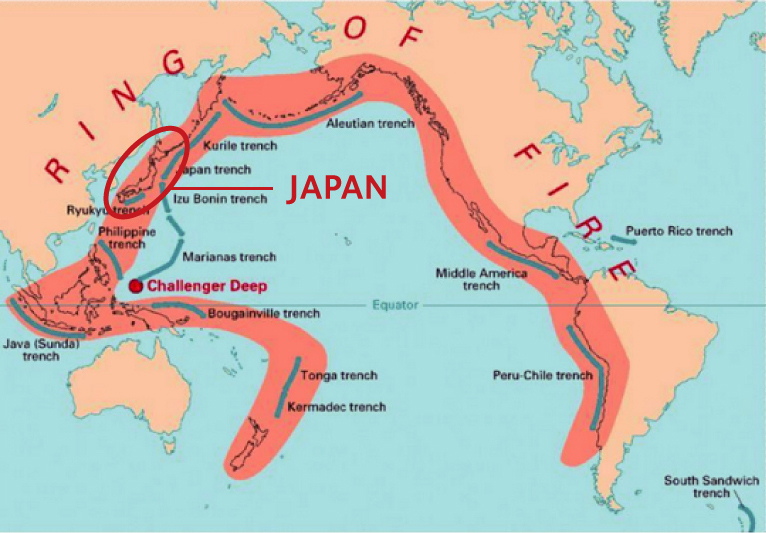 The Japan is located in the Pacific orogenic belt (Ring of Fire), one of the most active volcanic zones in the world, together with Alpine-Himalayan belt. More than 100 volcanoes are active in Japan, accounting for 7-8% of the world’s active volcanoes. 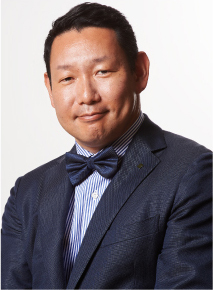 The Japanese geothermal power market has tremendous development potential. for 15 years, based on Feed-in tariff law. GDI is recruiting human resources to promote our geothermal business, and accumulating advanced geothermal technology. GDI is developing geothermal energy all over Japan. We would like you to contact us if you are considering introducing unique geothermal technology to the Japanese market. Please contact us if you are interested in geothermal business in Japan and integrating with GDI business. We also accept internships.